When Harve and Letty moved into their new house, the yard was a blank canvas. 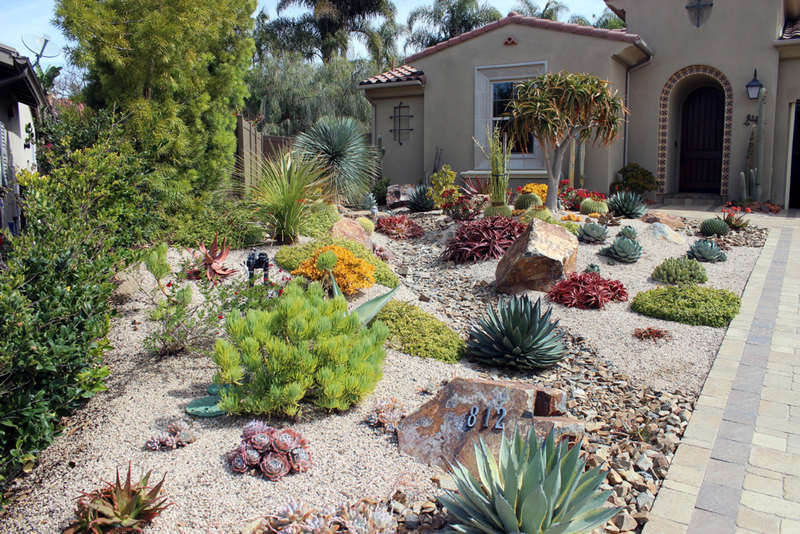 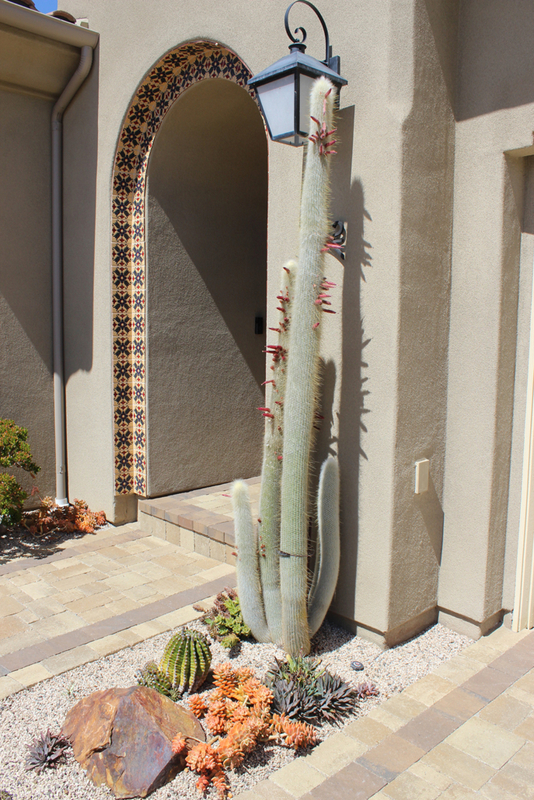 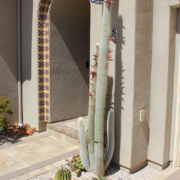 In the midst of the drought in April of 2015, they chose to install a low-water-use landscape to save water and keep their bills low. 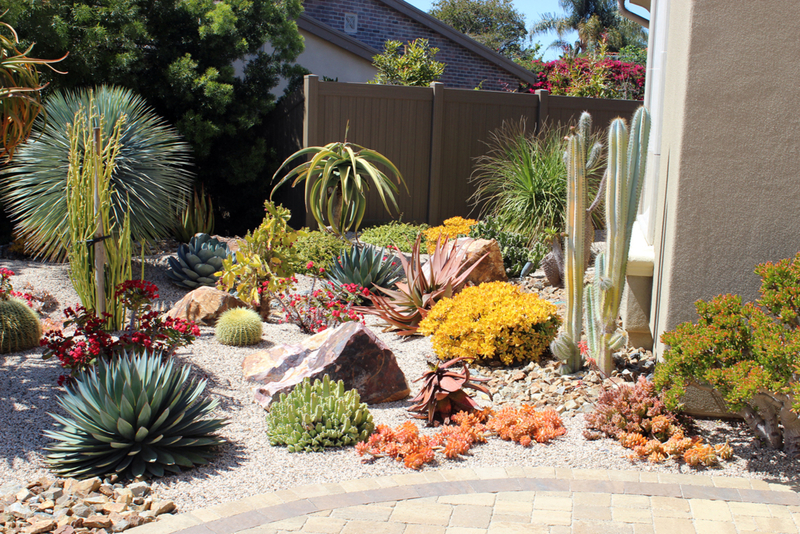 The design, by Steve McDearmon of Garden Rhythms, incorporates a good mixture of colors and blooms, so there is always something interesting going on in every season. 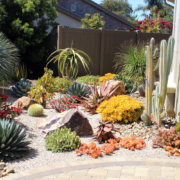 There is a rocky dry stream bed which gives movement to the design, and the large boulders add to the multi-leveled texture of the landscape. 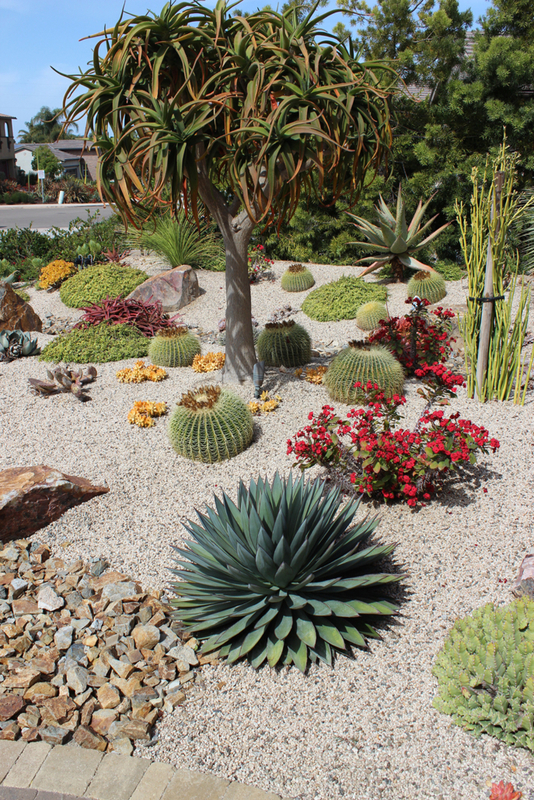 Harve and Letty incorporated drip and rotating sprinkler heads. 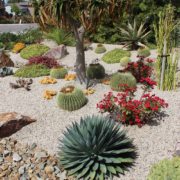 They signed up for a free WaterSmart Checkup in August of 2017 and adjusted the irrigation schedule down to one or two times per week depending on the plant material. 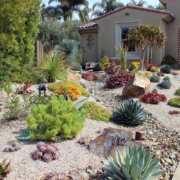 Harve and Letty are very happy with their low maintenance, WaterSmart landscape and are hopeful their design will inspire others.